Global Mobile Network has developed a proprietary and innovative technology. The DigitalSim: enables the first true Global Mobile Virtual Operator (GMVO). 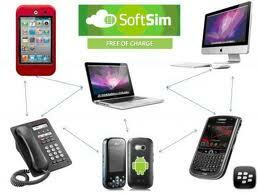 The DigitalSim successfully combines GSM and VoIP technologies. Thanks to our exclusive technology, we can create a unique network that joins 230 countries with 430 available networks using only one rate plan with no roaming costs and local rates in 100 countries.